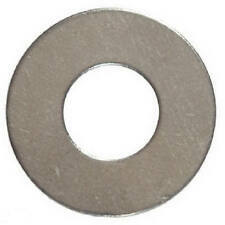 50 x M8 16 1.4mm Washer. 50 x M4 9 1mm Washer. 50 x M2 5 1mm Washer. 50 x M2.5 5 1mm Washer. 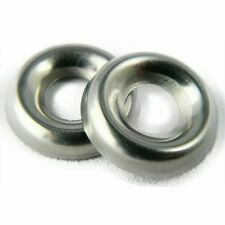 50 x M6 12 1.2mm Washer. 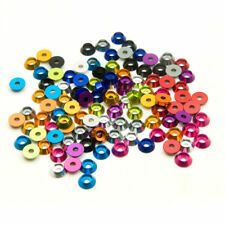 50 x M5 10 1mm Washer. 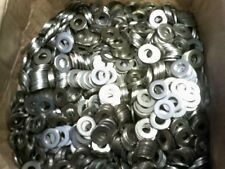 50 x M3 8 1mm Washer. Material: Nylon. 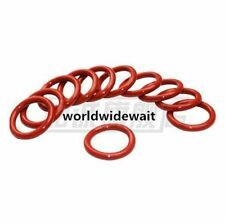 Flexible brick red silicone O ring seal. It is an ideal solution for sealing application where there are high temperatures and corrosive liquids or gases involved. Used widely for mechanical sealing, pressure vessel, gas compressor, reaction vessel, heat exchanger, boiler, filter, automobile, electrical appliance and other fields.Product Name : O RingMaterial : SiliconeInside Diameter : 3mm/ 0.12"Outside Diameter : 8mm/ 0.31"Thickness : 2.5mm/ 0.1"Color : Brick RedWeight : 6gPackage Content : 50 x O RingNote: Light shooting and different displays may cause the color of the item in the picture a little different from the real thing. The measurement allowed error is /- 1-3cm. Brand Unbranded MPN Does not Apply EAN 190268819626 UPC . 4X Rubber Bumper. size:（As picture shows）. We would try our best to help you solving any problem. We will do our best to help you to resolve your problems. We will try our best to reduce the risk of the custom duties. 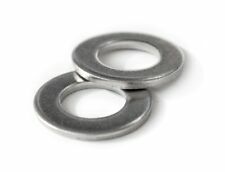 105pcs x stainless steel washers. 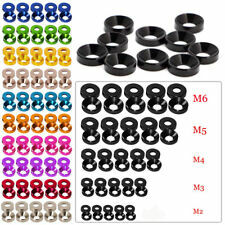 M3=3.2mm, M4=4.3mm, M5=5.3mm, M6=6.4mm, M8=8.4mm, M10=10.5mm. M3=7mm, M4=9.0mm, M5=10.0mm, M6=12.0mm, M8=16.0mm, M10=20mm. M3=0.5mm, M4=0.8mm, M5=1.0mm, M6=1.6mm, M8=1.6mm, M10=2.0mm. 20PCS x Shower Filter Rubber Washer. Protect faucet, angle valve, hose, top spray shower, and other sanitary products. Material: Stainless steel filter rubber. Adding a filter can effectively prevent impurities from entering. 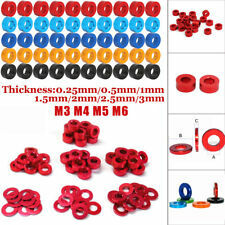 M3=3.2mm, M4=4.3mm, M5=5.3mm, M6=6.4mm, M8=8.4mm, M10=10.5mm. M3=7mm, M4=9.0mm, M5=10.0mm, M6=12.0mm, M8=16.0mm, M10=20mm. M3=0.5mm, M4=0.8mm, M5=1.0mm, M6=1.6mm, M8=1.6mm, M10=2.0mm. Material: 304 stainless steel. 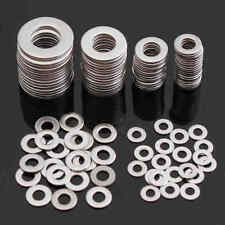 20Pcs solid copper sump plug washer set. 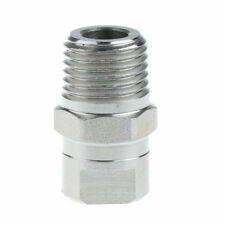 Ideal for sump plugs, water, fuel and hydraulic fittings. Quantity: 20PCS. Type: Copper washer. Color: Copper. Material: Copper. Size: 12 18 1.5mm (I/D x O/D x Depth).